Registration Available in Fellowship Hall or through the church’s website (see below). You have that opportunity! 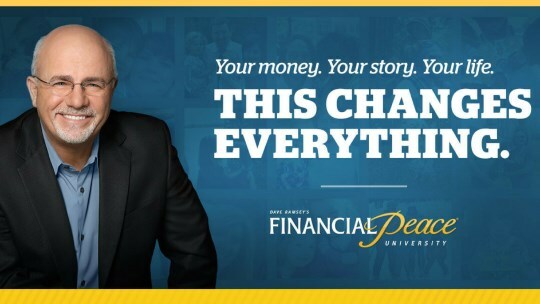 Financial Peace University by Dave Ramsey at EUMC begins on May 1, 2019. This weekly hour and a half class will instruct you over 9 lessons how to create a budget you can actually follow. There is a cost to the class and there are partial scholarships available, but it is strongly recommended each household finds a way to pay for the class. It will be your first wise financial step. One kit will cover one household/couple. Please register in the Fellowship Hall OR by using the booking form, below. Tickets are $109 per household. Please list the names of all members of your household who will be attending in the form below.